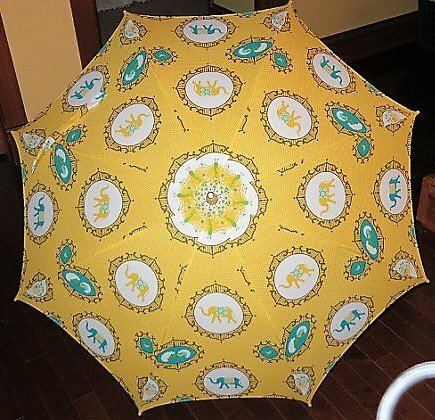 Spice up those rainy days with an Umbrella made out of fabric of your choosing. How about a Kaffe Fassett bright print or a colorful batik? Or maybe you would just like something that coordinates with your raincoat better. This is really easy to make and you will be the envy of all your friends who have a boring, store bought umbrella.